Kochava Intelligence gives marketers one location for business intelligence tools and spares them the necessity of working with additional providers or spending in-house time on analyses. The suite’s services provide a deep understanding of attribution and attrition, and an unprecedented power to access, analyze, and optimize your data through its services and features. A Business Value Assessment (BVA) has been performed for many customers to help uncover fraudulent campaign activity and also determine the value delivered by media partners. The Client Analytics team goes beyond the interpretation of standard reports by using advanced queries to draw correlations not easily observed initially. Tap into their analytic prowess and learn how to identify less evident forms of fraud, or whether the attribution datastream (signal) sent to Kochava by media partners is accurate. Attrition is a costly problem for mobile marketers who spend millions to acquire new users only to lose many of them immediately after installing an app. 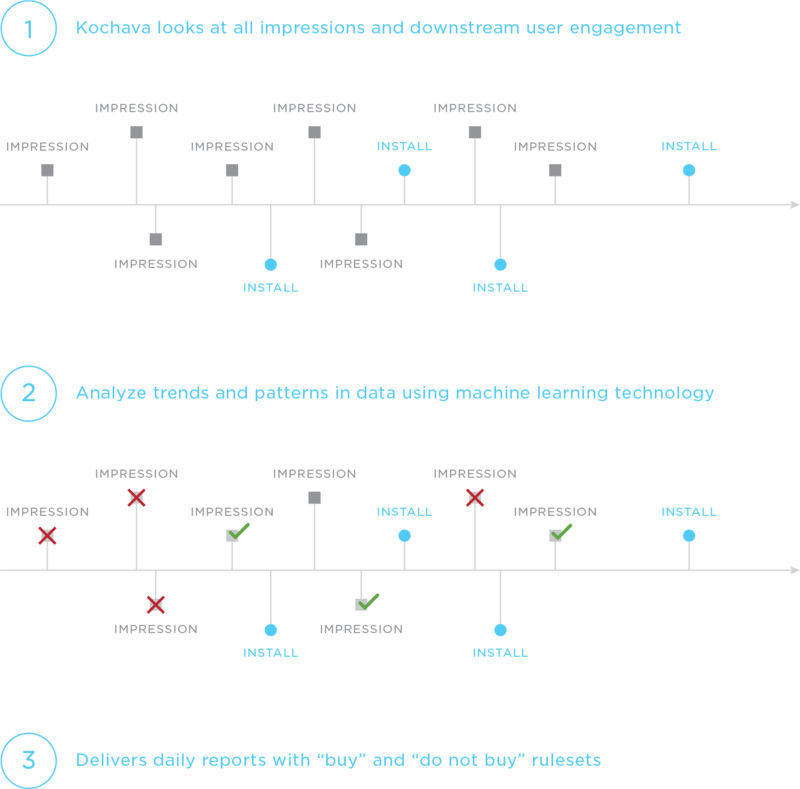 The Kochava Data Science team is available to create custom churn models to more accurately identify audiences for retargeting or show users more likely to churn. Churn modeling is also accessible from the Analytics dashboard where mobile marketers access their core metrics for analytics of in-app user activity. 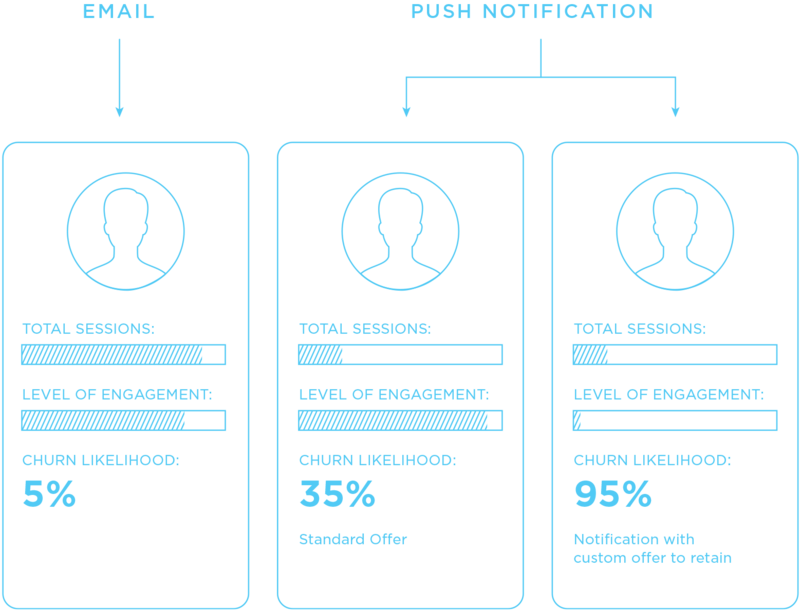 Using the “Predicted Churn” event, they can further segment their data and retarget users at risk for churn. Read more about predictive churn modeling in our marketing intelligence series here. Outside of a BVA, marketers can access a new Insights Report from the Kochava Intelligence suite. The report uses machine learning technology to make “buy” and “do not buy” recommendations on certain ad inventory from the partners the marketer is already working with. The report is created using Optimization Beacon technology. Marketers can apply Insights Reports when deciding on their future ad-buying decisions. Query gives marketers database-level access to their full data set within Kochava. What if? provides answers to questions such as, “What if I had increased the lookback window on my campaign?” or, “What if I had eliminated one of the networks from my campaign?” Explore these business intelligence tools below. What if network (Network D) had been removed from the previous campaign? 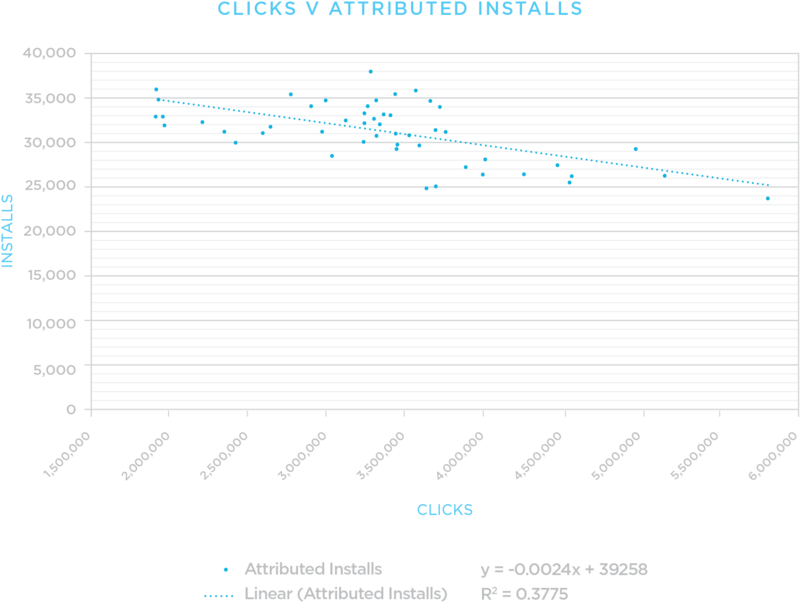 Would other networks pick up the slack, or would those installs go unattributed? In this case, the network in question (Network D) is important to the mix. 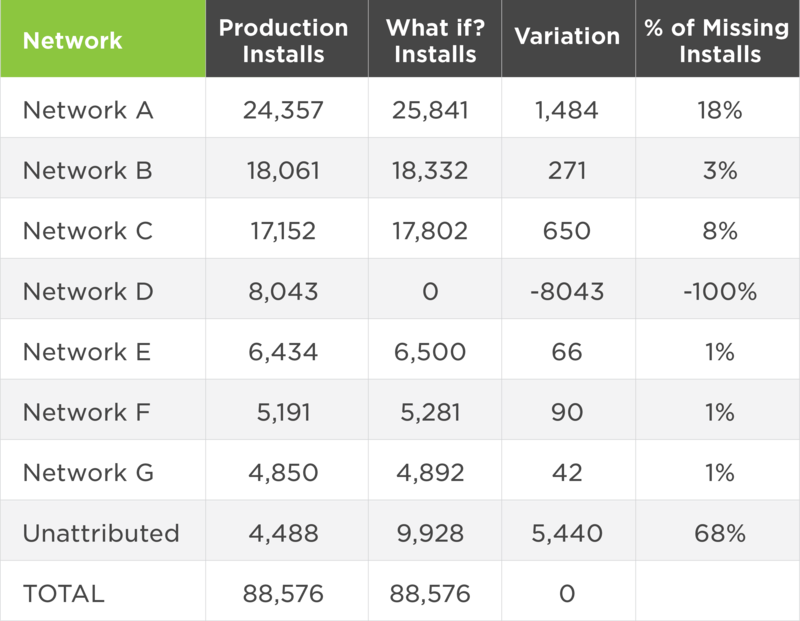 Removing that network caused approximately 68% of the installs to go unattributed, therefore Network D is a strong driver of growth for this app. Network F doesn’t pass any device IDs: It influences more installs than it wins, but the ones it wins are more accretive. What if Fingerprint Equalizer was enabled for the network—Would it win more installs, and would they still be more profitable? 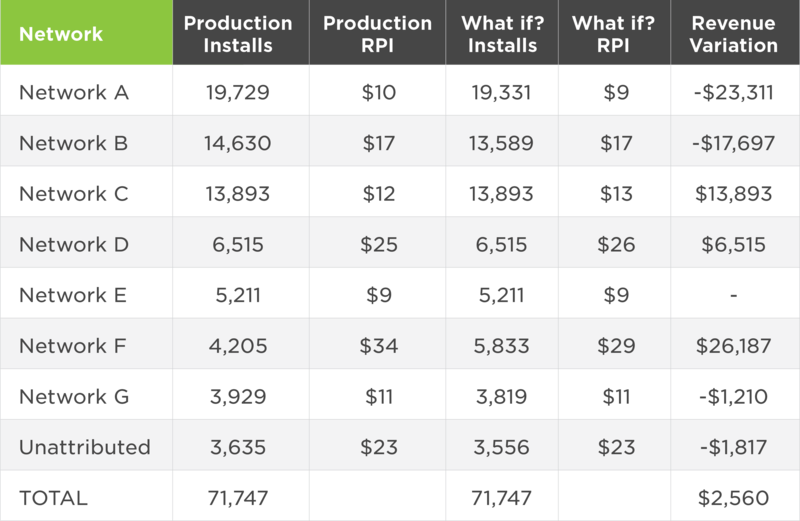 In this case, when Network F’s fingerprint attribution is given the same priority as device ID, the Revenue per Install (RPI) drops by 15% but attributed installs increase by 39%—and the overall revenue difference for the network increases by 18%. Learn more about What if? To get started, contact your Client Success Manager.